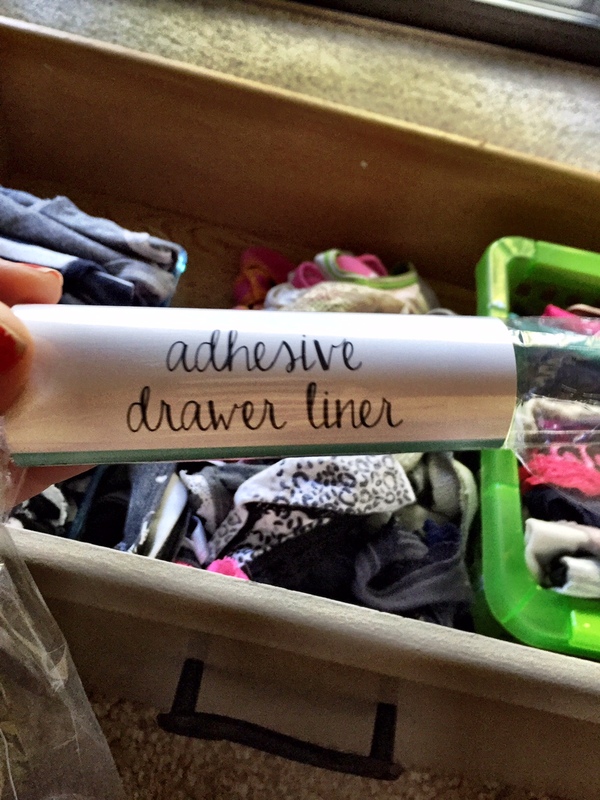 I wanted to use this paper to line the drawers where I keep my bras, underwear and socks. So, first things first, I took all of the drawers out of the dresser, brought them to the living room, sprawled out on the floor in front of the TV and put on Netflix. 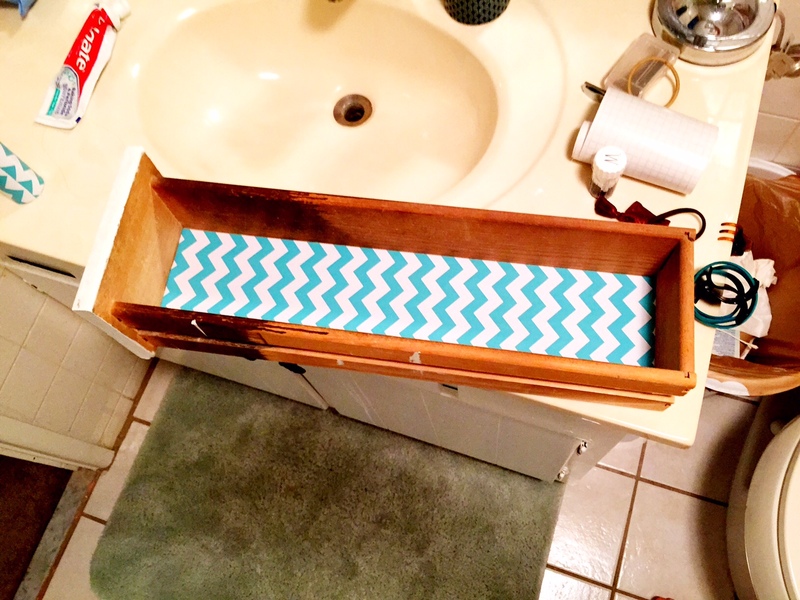 Lining drawers without bubbles or creases can be a tedious process, so this step is kind of essential. 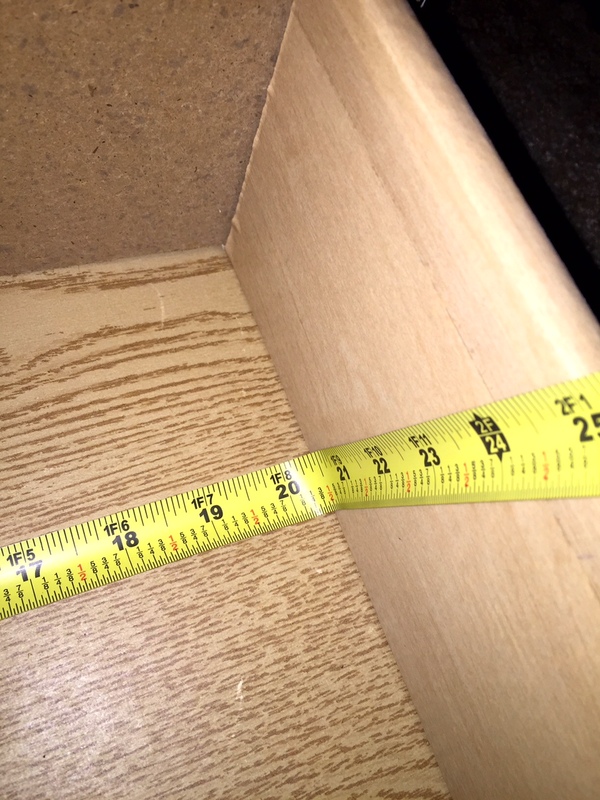 Next I measured my drawers. 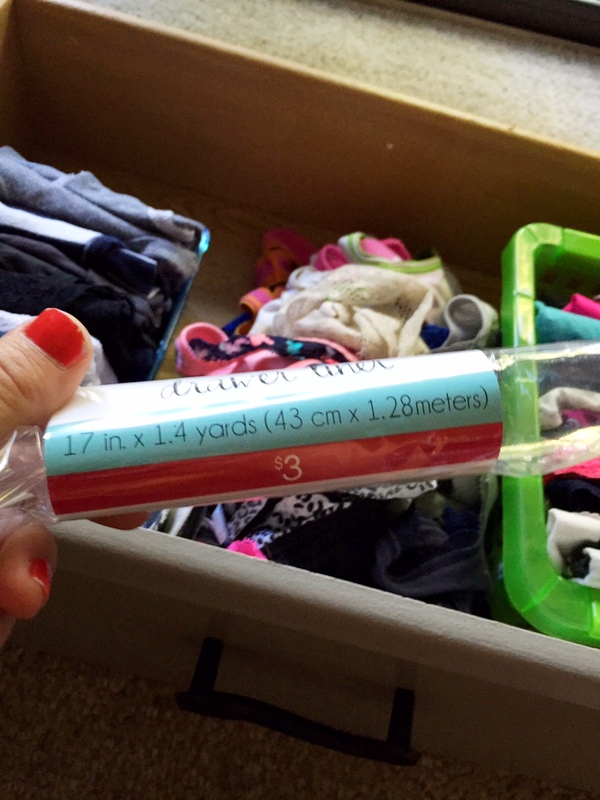 I stole Matt’s measuring tape, which let me get a precise measurement for how wide and long I needed to cut the paper to fit in my drawers perfectly. This paper came with grid marks on the back for precision cutting. 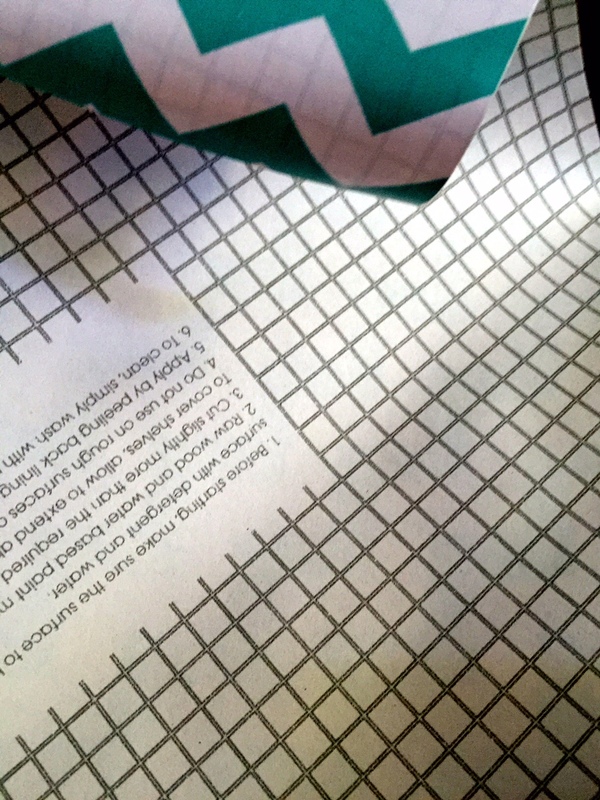 If the $3 Target brand has these, I would assume almost all brands of contact paper have these lines as well. 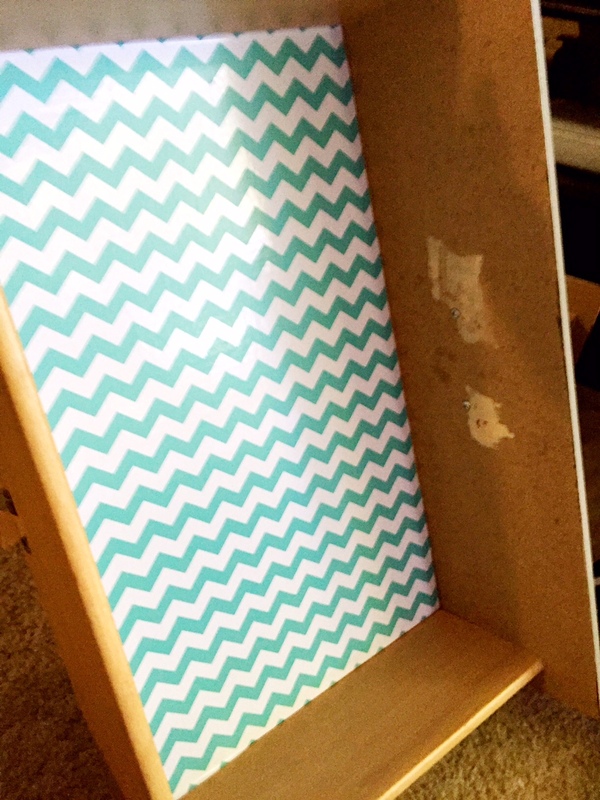 I cut the paper into three pieces to fit inside each of the three drawers. 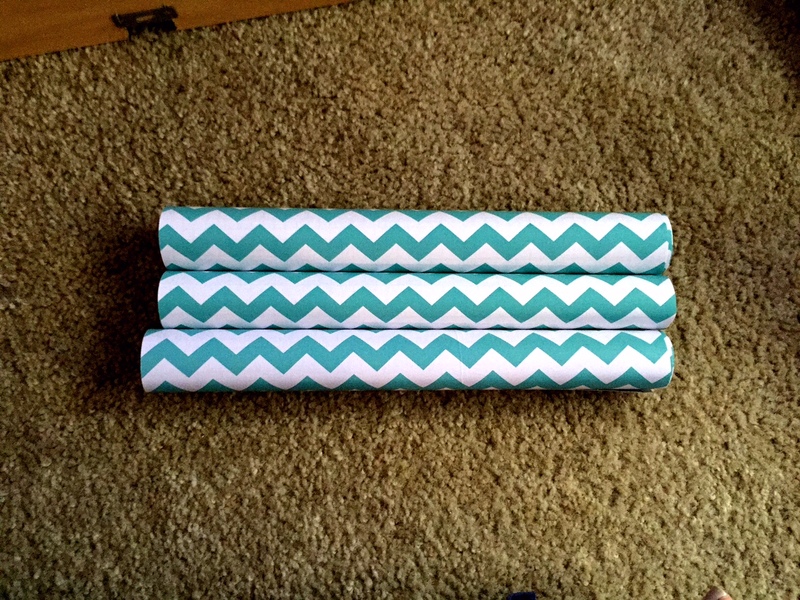 FYI: I need two rolls of contact paper for this project. Next came the tricky part: getting it to lay flat in the drawer without any bubbles. After A LOT of trial and error, I found that it worked best when I started in the middle and worked my way out to the corners. You won’t get it to line up perfectly with the edge of the drawer this way, but you will avoid any bubbles or creases (it’s a trade-off). 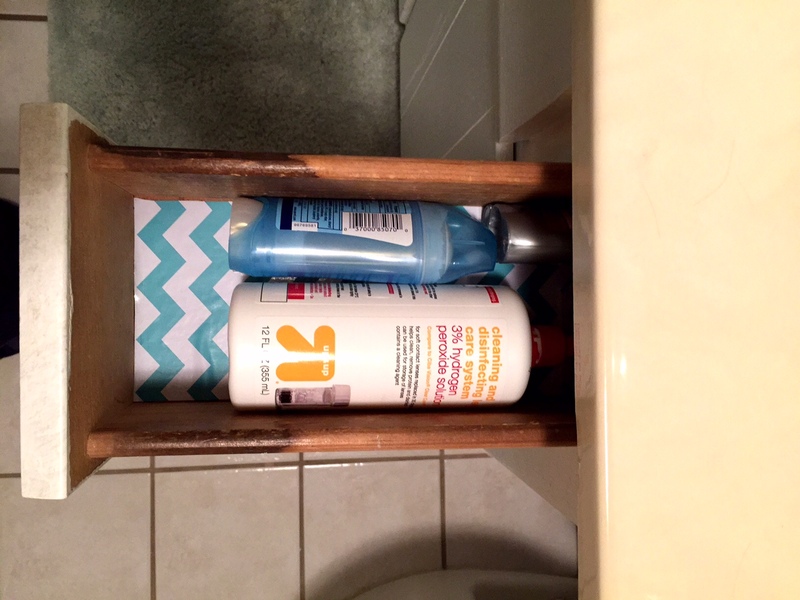 I used the extra I had left over to line two of the drawers in my bathroom. I love the pop of color it ads to the dark wood. The pattern and the colors feel very fresh, clean and tidy. It makes me so happy to open my drawers and see this pattern peeking out from under my things. It makes me even happier to know I only paid a few dollars to make it possible. If you’re thinking about lining your drawers with contact paper, take the opportunity to sort through your drawers, get rid of things you don’t need and organize the contents. 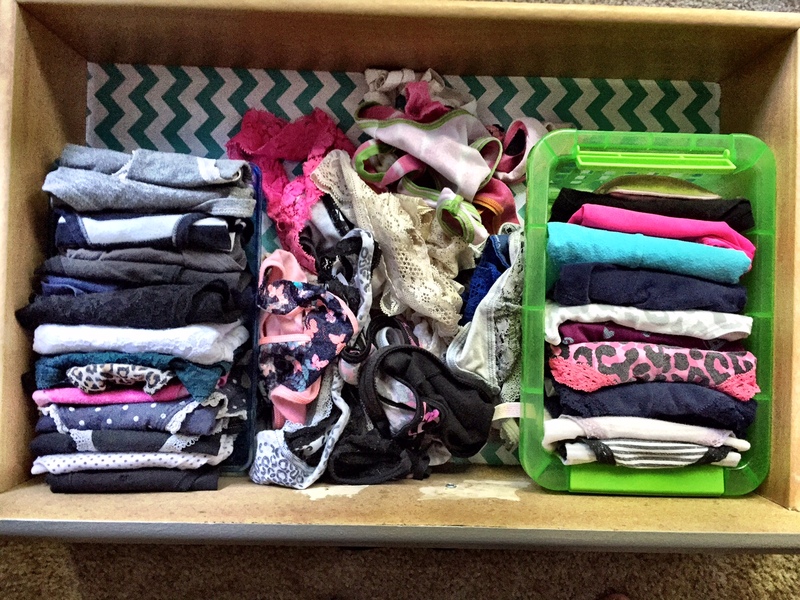 You’ll be emptying your drawers anyways, might as well make it even more worth while! 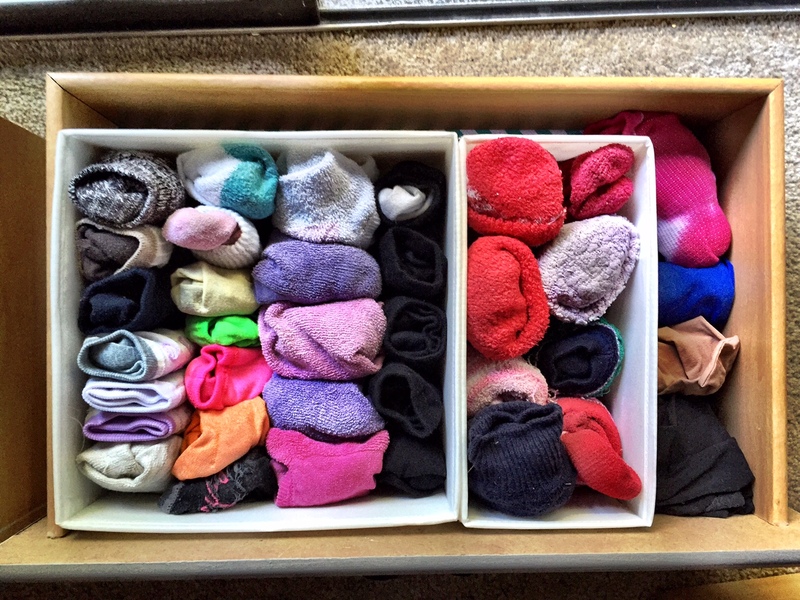 If you’re looking for more organizing tips and tricks, please subscribe in the sidebar to the right, and follow me on Instagram, Facebook and Pinterest. Catch you next time!